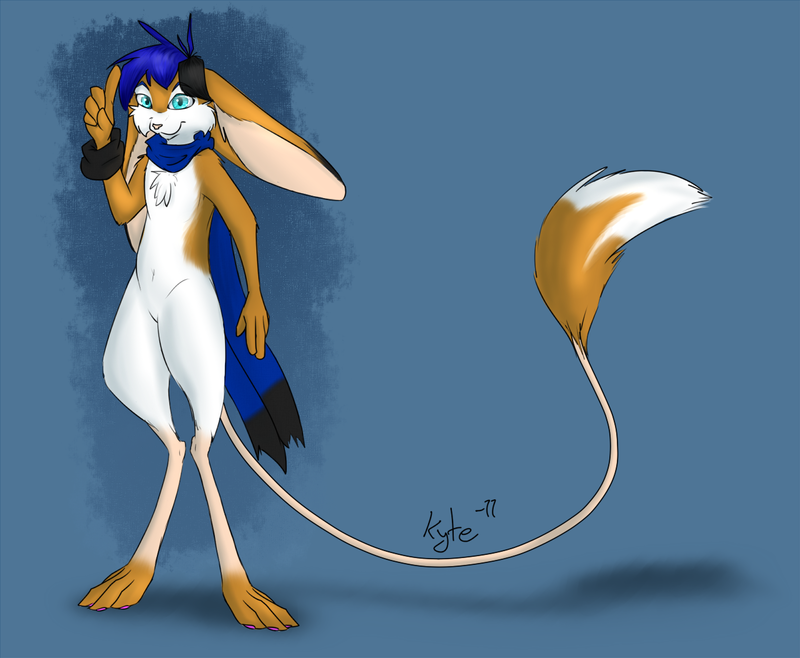 Not Kyte as a long-eared jerboa, Kyte is now a long-eared jerboa. It's been a year since I last changed species, and that happened after a year from his first species. It just seems like a good time to mix things up. That and my favorite mammals are drifting away from foxes and more towards mice. Probably going to touch up the design later, but this is fine for now.